January 19, 2018  The Malian musicians, who've been playing together for nearly 40 years, bring some of the most lyrical melodies and joyful sounds we've ever had at the Tiny Desk. September 30, 2014  The label has become a crucial ambassador, introducing many world-music artists to American fans. Hear 10 songs from across Nonesuch's remarkable 50-year history. January 18, 2013  In a beautiful and powerful new song, Fatoumata Diawara, Amadou and Mariam, Oumou Sangare and nearly 40 more top musicians from Mali join together for one purpose: to help bring peace back to their shattering country. 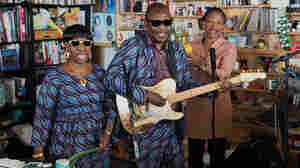 March 26, 2009  The self-billed "blind couple of Mali" have been recording since the '80s, but they've never stuck to one style. 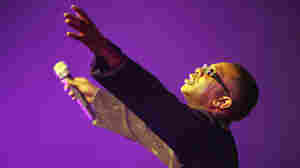 On Welcome to Mali, Amadou and Mariam absorb ideas from everywhere and sound like they're having a ball. December 17, 2005  All Things Considered music reviewer Will Hermes shares his picks for the 10 best CDs of 2005, from the "wonderfully strange" world of Animal Collective to the "gorgeous hymn rock" of Sigur Ros. November 27, 2005  For the holiday edition, a selection of the year's best music. Choices range from Afro-Celt to Britain's Imogen Heap to the benefit compilation Our New Orleans. September 19, 2005  Malian performers Amadou and Mariam met during the 1970s at the Institute for the Young Blind of Mali. The husband-and-wife team have overcome numerous obstacles, from blindness to living under a military dictatorship. Banning Eyre reviews their CD, Dimanche a Bamako. They began a U.S. tour this week. April 1, 2012  Hear a lilting and fun project that mashes up the West African stars with some of their biggest fans, including TV on the Radio and Santigold. 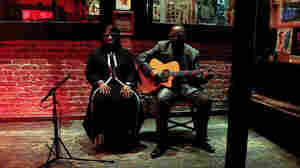 April 11, 2012  When Malian superstars Amadou and Mariam happened to find themselves with an extra day in New York recently, we invited them up to The Shrine in Harlem to sing an unplugged version of "Wily Kataso." 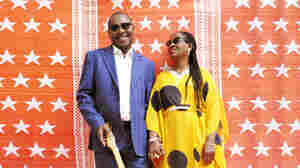 April 22, 2009  Malian husband-and-wife duo Amadou and Mariam began recording together in the 1980s, and soon flourished by adding Syrian violins, Cuban trumpets and Indian tablas to their infectious African blues-rock, Western pop and funk. 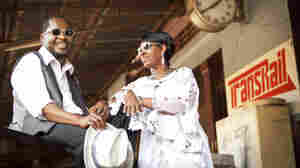 On their new album, Welcome to Mali, the pair sings in English and French instead of their native Bambara. April 6, 2009  On this edition of All Songs Considered we've got Bob Dylan, Sam Phillips, Jill Sobule, Amadou and Mariam, Karin Dreijer Andersson, a collaboration between Orenda Fink and Scalpelist and Grizzly Bear. December 9, 2006  Are you starting to panic about holiday gift shopping? Never fear. Cultural concierge Jesse Kornbluth of Head Butler suggests some musical gift choices. July 6, 2005  Download an exclusive by Sufjan Stevens; Nashville singer/songwriter Doug Hoekstra; Québécois singer and cellist Jorane; A medley from The Celtic Fiddle Festival and more. September 11, 2001  As NPR covered the terrorist attacks in New York and Washington DC, it was music that gave listeners time to reflect, to digest the events and the impact.